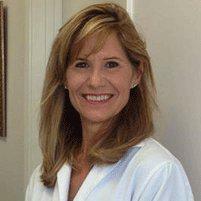 Marcia Matika is a podiatrist who has been in private practice in the South Bay for 28 years. Dr. Matika is originally from Pittsburgh, Pa. and offers the best podiatric care to patients in Hermosa Beach, Redondo Beach, Manhattan Beach, and all neighboring beach cities. She attended Allegheny College in Meadville, PA and graduated in 1982. After graduation, with degrees in biology and chemistry, she then attended medical school in Des Moines, Iowa. She is a 1986 graduate of University of Osteopathic Medicine and Health Sciences; Iowa College of Podiatric Medicine and Surgery. Her training after medical school was in Seattle, WA and San Francisco, CA. In 1987 she relocated to Southern California to begin her Podiatric Medical and Surgical training at Long Beach Memorial Hospital. She has additional experience with Veterans, amputees and diabetic patients as a result of additional training at Loma Linda Veterans Administration Hospital. She is the proud mother of two sons. Scott is a 1st lieutenant in the Army and is currently a Blackhawk helicopter pilot for Washington State National Guard. Brett is a graduate of California Polytechnic State University, San Luis Obispo and works in finance in the city of Newport Beach. Dr. Matika loves dogs. Sophia, her Husky/ Malamute mix sometimes accompanies her on house calls and visits to nursing homes.